Ken regaled to us a tale about being attacked by his dog – a large one. Seems the dog was so excited to see him after an absence that he sprung at Ken in greeting and knocked him against kitchen table and chairs. That necessitated a trip to Urgent Care to be sure nothing was amiss. Ken reports that he is fine. He is also preparing new music for his Chord Busters group. He has eight new songs to learn. He says the music is pretty straightforward, but memorizing the words has become more work as he matures. Said it took him the better part of a day to memorize all the words. Many of us can relate to that. Soap Box Derby – Rick McKernan -They still have 1 one car available. Anyone with a lead for a sponsor contact Rick He recently has recruited a new club member from Derby participants. June 7th – 5-7 p.m. at Lange Middle School. Signup to help will begin later this month. Jake Jolley brought the official photo on a plaque from Rootin Tootin Chili Cookoff in which we participated as a fund raiser for Boys and Girls Club. It was accompanied by letter thanking us for our support. I will get the photo put up on wall next to prior ones. In an effort to make it possible for members who normally cannot attend noon luncheons to be more involved, there will be an evening meeting on Tuesday April 24th, at 6:30 p.m. at the Boys and Girls Club. Valorie Livingston will provide a short program, and Bob Floyd, Optimist International VP, will lead a program on membership growth and NOW meetings. All clubs in Zone 2 have been invited to attend. Midway and Kids First have indicated that they will be sending members. Haven’t heard back from Sunrise or Hallsville yet. Mark your calendars and plan to attend. Jake says to show up a bit early and he will give a tour of the new facility including the multipurpose room, commercial kitchen, and other new facilities. April 27th & 28th, An East. 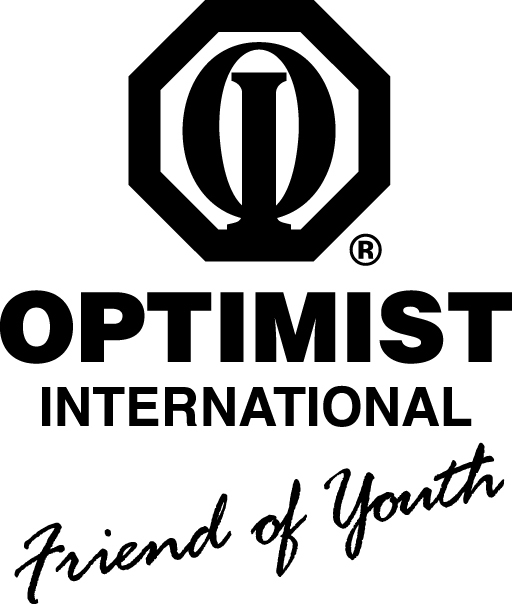 Missouri District Optimist meeting will be held in St. Louis. Dean Berry and Allen Jennings, of the Columbia Youth Basketball League joined us to tell us a bit about their organization. They thanked us for asking them to speak and thanked our club for our financial support of two teams in the league. Dean founded the organization 25 years ago. The impetus for creating the organization was to provide his grade school child the opportunity to play basketball. He quickly found that there were lots of parents looking for the same opportunity. This was of course before cell phones and the internet, so lots of time was spent on the phone getting things arranged. Allen is the current president of the organization. He became involved 10 years ago when his child was involved with the league. Both Allen and Dean have stayed with the organization long past their children growing out of playing age. The league has just completed their 25th season. The first year they started with 50 fourth graders. The second year they were up to 230 kids including girls teams. The third year there were 720 kids in grades four, five, six and at that point they joined in a cooperative effort with Columbia Parks & Recreation. Players range from grades 1-12, with around a 50/50 split between grades 8 and down and 9 and up. There is a $100 fee per child to participate, but scholarships are available, so that no child who wants to play is prevented from participating. Funding is sought from various sources such as our club to support the league. Currently there are 1000 children participating.That is 10 children each on 100 teams. The league is recreational not competitive. It is a place for kids who might be a bit short on skills and wanting to play comfortably. The goal is to get them out and playing – off the couch and away from computers and cell phones. The league does prep work setting up the season, and organizing the teams. Later on,Parks & Recreation take over the week to week scheduling of games. No preformed teams are allowed below 8th grade. The goal is to have a level playing field with every player having an equal opportunity to participate. Substitution is required every 5 minutes – they want everyone to play equal time. Every 5 minutes players on the floor return to the bench and players on the bench take the floor. In the case where a team might be short of their allowed 10 players there are formulas for required substitution to ensure each player gets equal playing time. In December the league has a pre-season jamboree. This provides a chance for teams to get to know one another and to begin preparation for the season. At this Jamboree, each team plays three games. It is not a tournament, and there is no elimination. During the season each team is allowed one practice/week. Games are played on Saturdays. With100 teams that means 50 games occur every Saturday. That many games requires 35-40 referees each game day. The City and Columbia Public Schools provide seven sites for games – The Armory plus six Middle Schools . The planned Perry/Philips building will provide 4 more courts. It is designed to be modular which leaves open the possibility of adding more courts later. Depending on scheduling and circumstances they may have to pay for court time for practice and games. Onsite supervision by site personnel is required, so if it is at a time when someone is not normally present there is a usage charge. Such bills are split with Columbia Parks & Recreation. Some examples of the expenses the league incurs include $18K to city, $4K to Columbia Public Schools, a few thousand for uniforms, $2-4 thousand for insurance, $4-5K for the Jamboree. The league also contributes $5K each year back to high schools for scholarships. Additionally, they have made donations to help fund score boards at some schools. They also make other donations to schools. In addition to fees, the league is financially supported by team sponsors, including our club. After the season they have a reception to honor partnerships with Parks & Recreation, CPS, Columbia College, team sponsors, and volunteer coaches. All in all, a fine opportunity for 1000 local children to be involved in recreational sports. Meeting was adjourn with the Creed: 12:58 p.m.